Viva La Primm!!! Well, I guess it’s just not the same, but you get the idea. I finally made it out to Primm for the Fall Nationals presented by the NSDA. I have wanted to go for a couple of years now, but something always seemed to get in the way. This year we planned ahead and through some arrangements managed to get out there. Neither my wife nor I had ever been to Las Vegas, so this would be our first on many levels. We flew into Las Vegas on Thursday morning and spent some time down on the “strip”. It was amazing, the scenery is awesome and downtown is incredible to see. It was great to see the Luxor, Excalibur, MGM Grand, Treasure Island, Caesar’s Palace, Bally’s and The Bellagio; all places I had only seen on television up to that point. It amazes me that even though everything seems so wonderful and inviting, there was still construction on newer, more lavish casinos going on right on the “strip.” We drove out to Primm after sight seeing and found our rooms at Primm Valley Resort and Casino. My wife found a great benefit of Primm Valley is the fact that it is directly connected to the Fashion Outlet Mall, you don’t even have to go outside to get there!! (This is a good way to convince your significant other, guys, if you really want to attend the race!!) The track was already set up and the guys were running some time trials. Everything looked really good and I was excited for the start of racing on Friday. Friday saw the first day of pro class racing, with the first qualifying shots for Top Fuel, Top Alcohol and Top Eliminator thrown in as well. The weather was great; with sunshine, a light breeze, and a temperature that was just right. The staging lanes were packed and it was great to see cars and drivers that I had never seen before in attendance. Time trials started just after 7AM with the final eliminations getting done just before 9PM. A long day of racing, but things went pretty smoothly and all in all it was a good day. My wife even convinced me to check out the outlet mall after the race was over and even that was enjoyable. Saturday dawned with a little stronger breeze and some clouds, but not too bad. The wind picked up all day, and by the end it was a bit gusty. It did not seem to affect the sportsman racers though, as it seemed there were more cars in staging than Friday. The racing was just as good as Friday and I saw some rigs still pulling in Saturday afternoon. 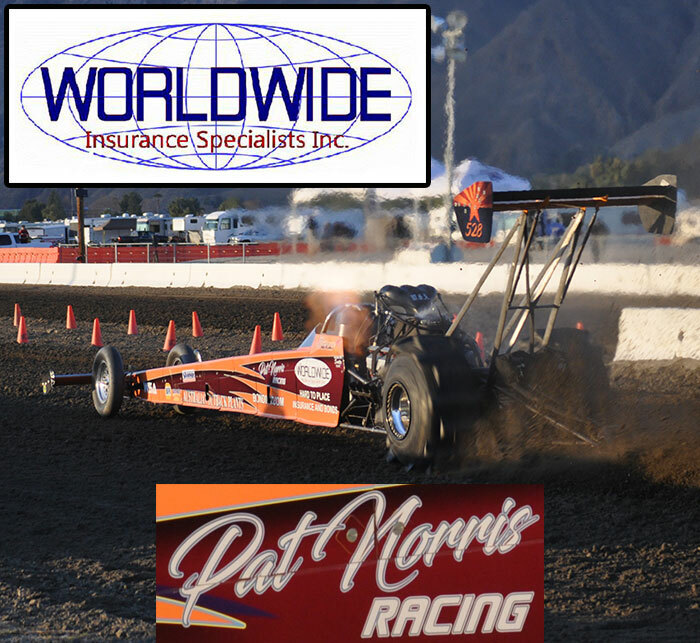 By the end of the day; the Top Fuel, Top Alcohol and Top Eliminator fields were set for Sunday as well as class winners in Pro Modified, Pro Index, and the Sportsman bracket classes. Time trials again started at 7AM with finals taking place about 8PM. Sunday found that the wind had switched directions and was now coming directly out of the north. With the cloud cover it was even a little chilly. I wore a jacket all day; something I did not think would happen when we got there. Speed Channel was there to tape the final rounds for future showing on “Lucas Oil, On the Edge” as well as coverage from National Sand Drag News, Drag Racing Online, and some guys from the U.K. taking photos for eurodragster.net. This type of coverage shows how our sport is growing and attracting mainstream media attention. When the dust settled around 5PM, we had managed to get all the finals done in the daylight, which Speed Channel needed to be able to get some good tape to air. I heard a lot of people say this was the best Primm race they had ever been to and wanted to know when the 2008 Primm events would be. It was also great to see a pretty good amount of Michigan people at the race also, not only racing but a bunch of people showed up to watch too. Congrats to Dennis Rieck as he set a track and national record with a 2.32 pass in the T/F final round. All in all it was a great way to wrap up the “big” events for 2007. Just over 400 cars total made just under 1,800 passes down the track in 3 days. That keeps the show moving, keeps the crowd occupied and provides great entertainment value. Let’s hope the big car counts continue at all tracks for 2008. Until next month, I’ll see you in the staging lanes! !